I was barely through unpacking the necessities, let alone my boxes of craft supplies. ...And I had a styrofoam wreath form. I could make this work!! 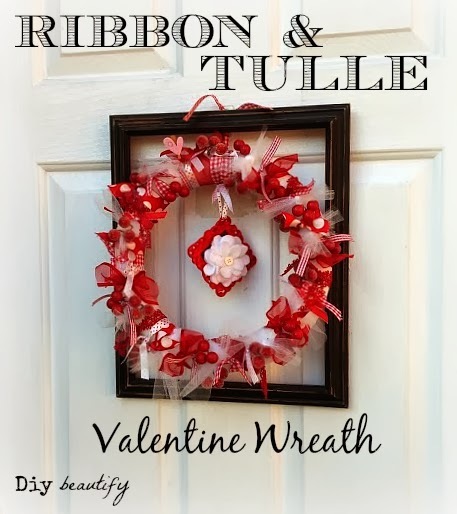 I simply tied strips of various red ribbon around my wreath, filling in the gaps with white tulle. 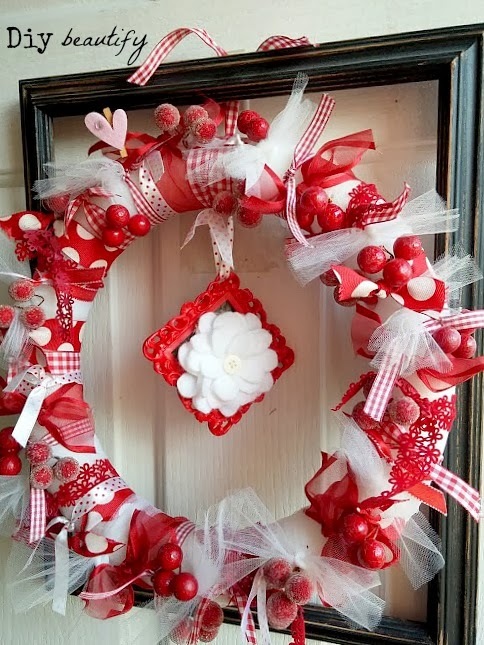 The berry picks were a last-minute burst of inspiration...they worked perfectly to fill in the gaps...it doesn't matter that some of the white styrofoam is still showing because the wreath is red and white. 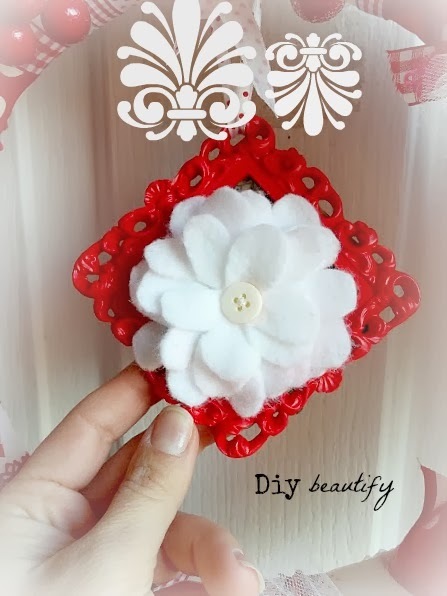 I hung a mini red clearance frame and made a white felt flower to dangle inside. No real rhyme or reason...it just seemed to go and I was using the bare necessities that I had on hand. Love this wreath! Girl ~ everything I make is from sheer desperation! ;) I don't know what I'm going to do when I run out of supplies in my stash! 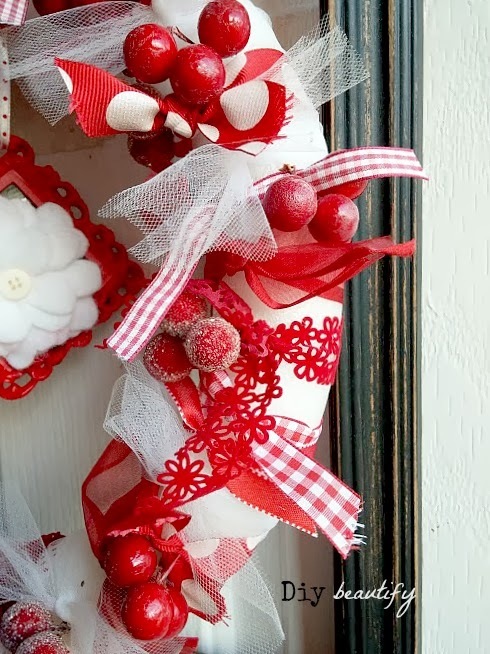 Really cute wreath! It's deceptively simple. I've pinned it! :) And that clearance frame is a nice touch! What a cute wreath! Thanx for sharing at THT. Cindy, this is adorable!! 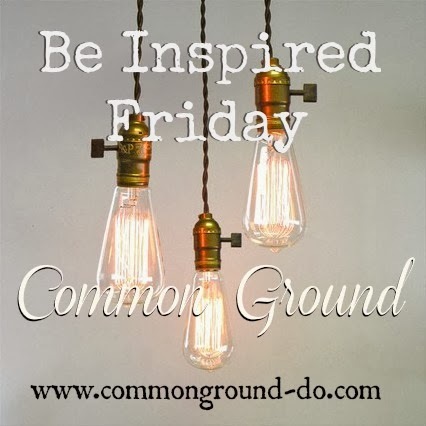 Love the whimsy! :) Thank you so much for linking up with Get Your DIY On in Feb. 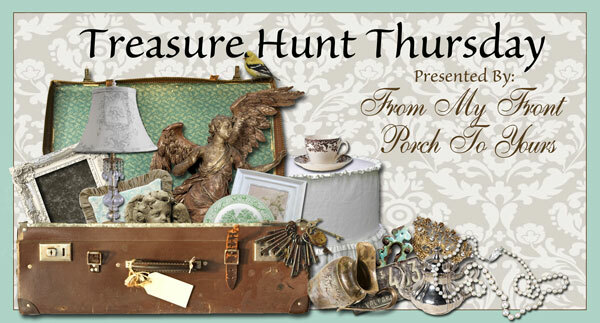 I hope you'll join us March 2nd to share your Trash to Treasure.